New Delhi: There is a good news for people waiting for the opening of the Janakpuri West-Kalkaji temple section on Delhi Metro‘s Magenta Line. Commissioner Metro Rail Safety (CMRS) is going to inspect the safety of this section next week. This has increased the hope of opening the line soon. If everything is okay, then this entire line will be open to the public by the end of this month or even before. 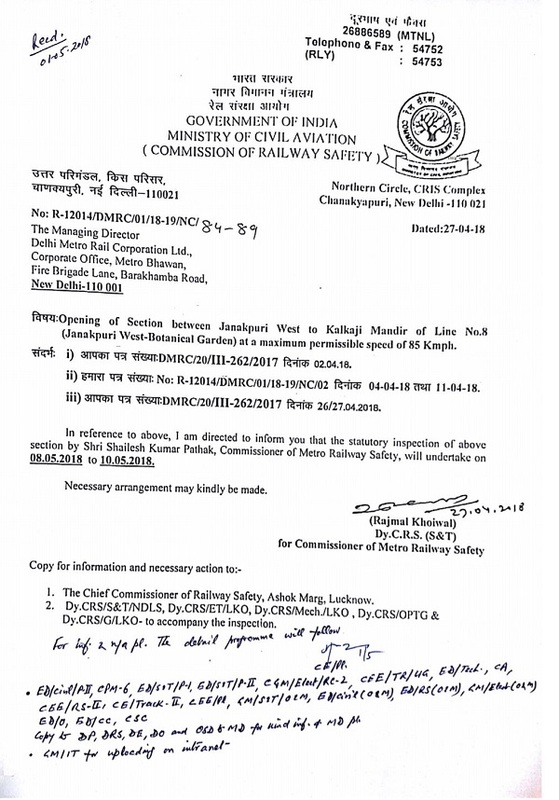 DMRC Executive Director Anuj Dayal said that CMRS will inspect the safety of the 25.6 km new metro section between Kalakaji temple and Janakpuri West to May 8 to 10. There are 16 new Metro stations in this section, two stations, Hauz Khas and Janakpuri West will provide interchange facility to the passengers. On this line, the Metro service has already started between the Kalkaji temple and Botanical Gardens. 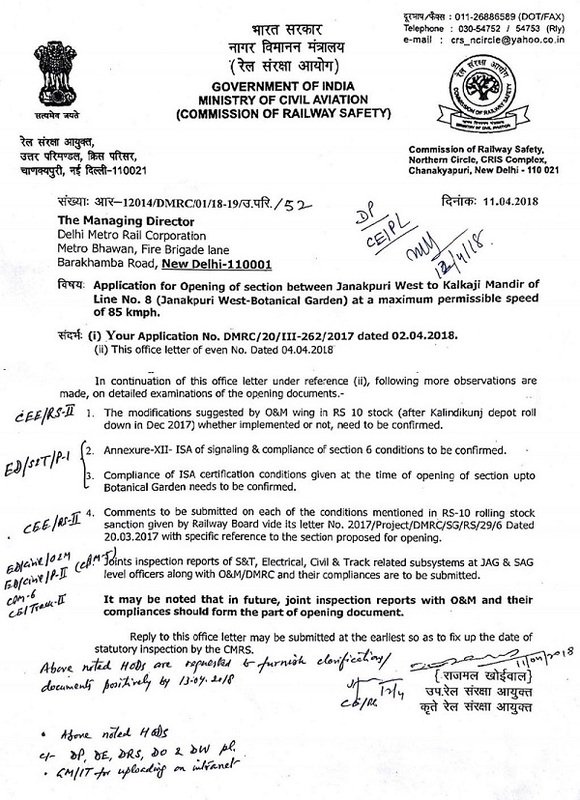 The rest section is also based on the same technique, it is being thought that this time the green signal will be received by CMRS, and if this happens, then by the middle of this month or by the end of the month This section will also open for passenger service. After the opening of this section, the 38.235-km new magenta line will be fully opened in the Botanical Gardens from Janakpuri West and it will also become the first such line of phase-3, on which the Passenger Service started with full capacity. Can go. The 12.64 km long line of this line between the Botanical Gardens from Kalkaji Temple was opened on December 25 last year for passenger only. Since then, people were waiting for the rest of the remaining portion of the line from Janakpuri West to Kalkaji Mandir.